With warm, sunny days ahead, there are so many great fun ways to enjoy the outside of the Chicagoland Area. Especially as seniors, the fresh air can break up a monotonous day inside and boost energy and happiness levels. Just being outside and breathing that fresh air can help brighten your day! So what’s one of our favorite outside activities? Gardening. 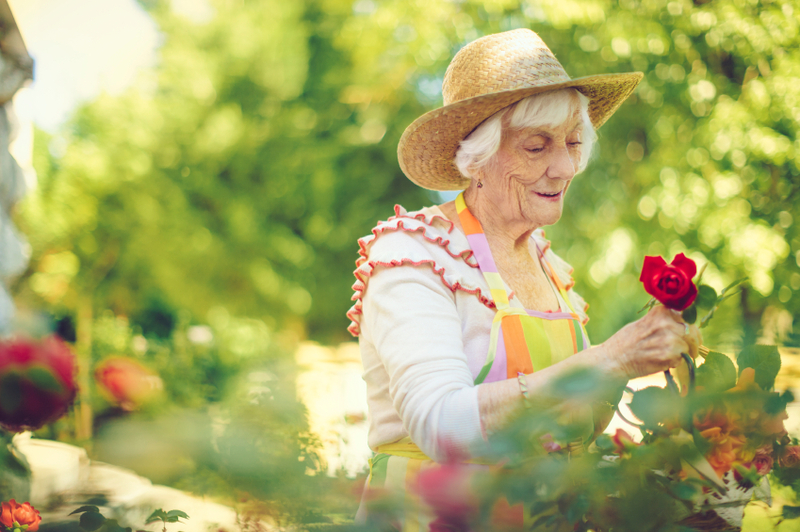 Whether it’s growing vegetables or flowers, gardening can be a great way to keep active and remain healthy as a senior. However, those repetitive actions and staying hunched over for an afternoon can put a strain on your joints. But don’t throw in the gardening gloves just yet—we’re sharing five ways to avoid joint pain while you’re planting daisies. A quick body warm up can help you increase your flexibility and avoid muscle soreness afterwards. When gardening, we tend to stay in the same position for extended periods of time. Stretch out your arms, legs and hips to stop cramping and prevent the stiffening of your joints later on. Make Your Garden More AccessibleRemember what we said about staying in one position for too long? Crouching over can put serious strain on joints. You can solve this problem by using flower boxes or raised beds so you won’t have to bend over so far. But even if you do keep your garden low to the ground, you can make it easier on your body with knee pads or stacked towels to create extra padding between you and the harsh surface. Find the Right ToolsDon’t put in the extra work if you don’t have to! Worn shears and tired tools can unintentionally force you to put in more heavy lifting than you should be. Make sure you have a fresh set of tools to work with, from long-handled for those hard to reach crevices to light-weight for easier use. Or, swap out manual for electric to avoid the joint aggravation that comes with repeating the same motions.4. Stop and Smell the RosesGardening is tough work, but it shouldn’t be painful. Listen to your body when it’s saying you need a break. Besides, what’s the point of gardening if you can’t enjoy the fruits of your labor? Be sure to incorporate small breaks throughout the afternoon so you can stop and smell the roses—or veggies—you just planted. While it’s a minor shift, good posture goes a long way in gardening and preserving your joints. When possible, stand up or sit up straight while you’re working so your joints remain loose and flexible. Still experiencing joint pain? Your Home Care Agency nearby and doctor may be able to refer you to some supplements to aide in joint pain. Freedom Home Care also has tips to manage arthritis. See them here! And, as always, we’re here to help. Search for a “Home Care Agency Near Me” and let us guide you to the right home care for you or your loved one. See what people are saying about our services here or give us a call at 1(877) 262-1223!